This new book introduces innovative research on democracy from the leading Comparative Manifestos Project (CMP). It details the key achievements of the project to date, illustrates how its findings may be applied, lays out the future challenges it faces and examines how the field as a whole can advance. 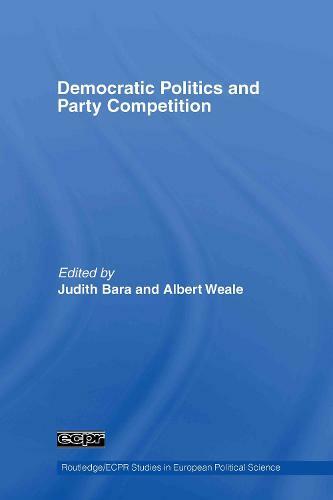 It also presents a special assessment of the dimensionality of party competition, presenting ways in which research can be extended and related to broader approaches in Political Science and Theory. Although CMP research is widely used and constitutes the major comparative data set on party positions and ideological location, it is also subject to challenge. The volume therefore provides the reader with a clear sense of the key debates and questions surrounding its work. This volume also honours the life-time achievement of Professor Ian Budge, who has provided distinguished intellectual leadership for the CMP over the last twenty-five years. This is an essential point of reference for all comparative research on the functioning of democracies. This book will be of great interest to all students and scholars of politics and of democracy in particular.